First batch of Christmas designs! This idea came from the tag on Target Halloween items. They will be for my very special trick-or-treaters. Sugar cookies decorated with Antonia74 RI. Ordered for a bridal shower. 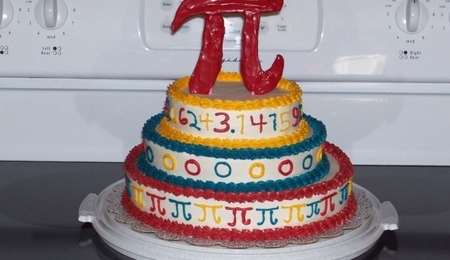 Celebrate Pi Day with Cake!